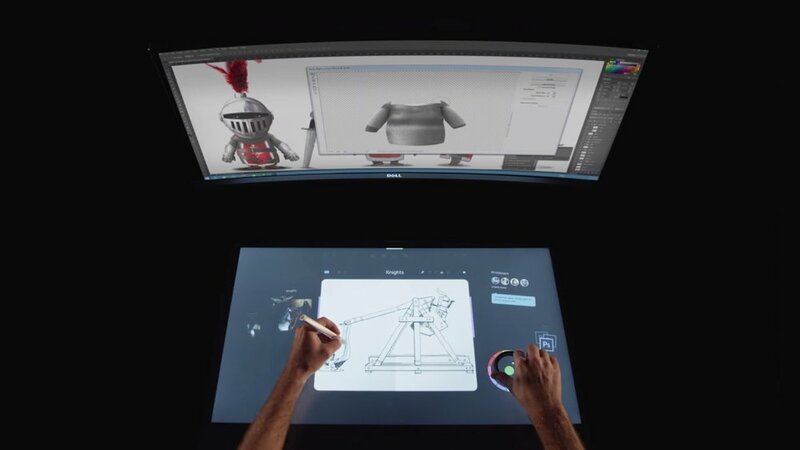 Dell unveiled its conceptual “smart desk” that revolutionizes the workspace of the future by combining interactive multi-touch LCD screens with a horizontal digital work surface that ergonomically surrounds the user for natural manipulation using touch, stylus and new-generation totem-based tools. The Dell Precision-powered smart desk creates an immersive and intuitively productive experience for the user. Additionally, multiple users and individual digital desktops can be assembled around a single project for more efficient collaboration. My role in this project included participation in the original brainstorming, scenario development, early concepts and prototypes, usability studies, coordination with engineering and development vendors, elements of the final hardware design and on-screen artwork for CES demo and video.